All you need now is to transform this vacant, dilapidated unit into the most alluring eatery within 50 miles. Easy, right? Well, maybe not, but the first thing that you need to consider is restaurant tables and chairs. It doesn't matter how phenomenal your food is if you have nowhere for your diners to sit! Now you have probably already decided how many covers you are going to be providing. You may even already have a table plan. 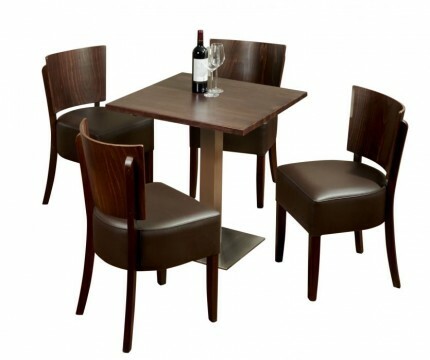 So let us show you our top 5 styles of favourite restaurant furniture for sale to date. 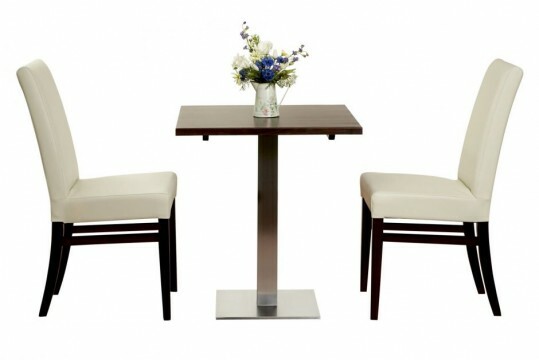 Perez Dining Set 5: This is an unpretentious dining solution and is an extremely inexpensive restaurant furniture solution. However, aside from the cost, you should also consider its merits. Upholstered in a choice of two neutral faux leathers and made from solid beech wood, it is an attractive option for casual eateries. The table top is also beech and the set is available in three different finishes to complement many different decors. The base of the table is a central steel leg that is powder coated in black for durability and a discreet appearance. 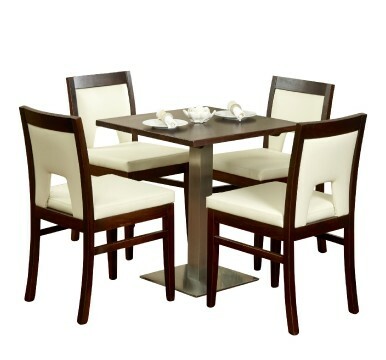 Southman Dining Set: Sleek and contemporary, these high-back faux leather chairs ooze class and comfort. 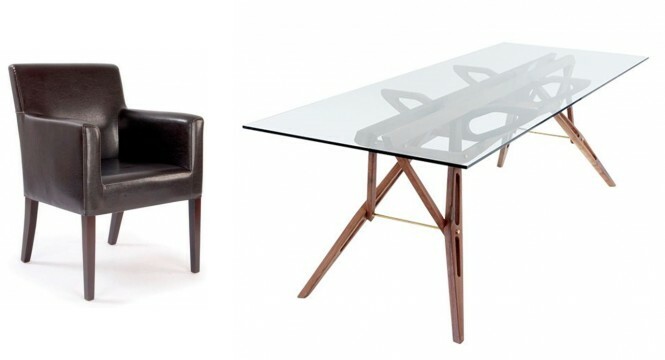 With a choice of two faux leather finishes, the walnut finished beech chair frames complement the walnut finished table top perfectly. A stainless steel central leg only adds to the modern elegance of this set. Marland Dining Set: Walnut stained beech wood, upholstered in two neutral colours of faux leather - this is where style meets practicality. The table has a stainless steel central leg making it easier to slide the chairs underneath, and at only £440.80 for a set of four chairs and table, it makes great financial sense too. Rebecca 2 Dining Set Version 2: This walnut finished beech set is evocative of the 60s yet it manages to look very modern and inviting. A stainless steel central table leg and a choice of two faux leather colours ensure that this is an option suitable for most applications. Dino Square Tub Chair and Insignia Dining Table: A slightly more expensive solution, but when you look at the quality of the materials used in the construction of these items it is clear to understand why. The brown faux leather chairs create an unrivalled level of comfort and it is easy to add the required number of chairs to create the table combination of choice. The beautiful insignia dining table takes its design cues from modern mid-century American styles. The tempered glass top also adds sophistication and style. 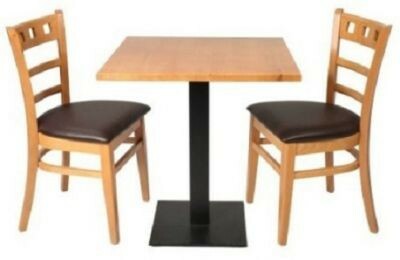 All of these dining sets are certified for commercial use and many are available for next day delivery. Contact us today to find out more about our restaurant furniture UK and if you need some help planning a cafe, bar or restaurant speak to a member of our design team who can bring the interior to life using the latest in 3D visual technology.